As the weather warms and the official start to summer approaches, people are moving outdoors to spend their leisure time interacting with nature and wildlife. For some, the wildlife interaction has been a bit too close for comfort as animals lash out and cause injuries or even death. A missing woman is believed to have died after she was bitten by an alligator, according to Florida wildlife officials. The woman had been walking two dogs at the Silver Lakes Rotary Nature Park in Davie, Florida, a witness told authorities. Two dogs were found on the scene, and one of the dogs was injured, the Florida Fish and Wildlife Conservation Commission said in a statement. A 12-foot alligator was removed from a lake at the Silver Lakes Rotary Nature Park in Davie, Florida, after a woman went missing. 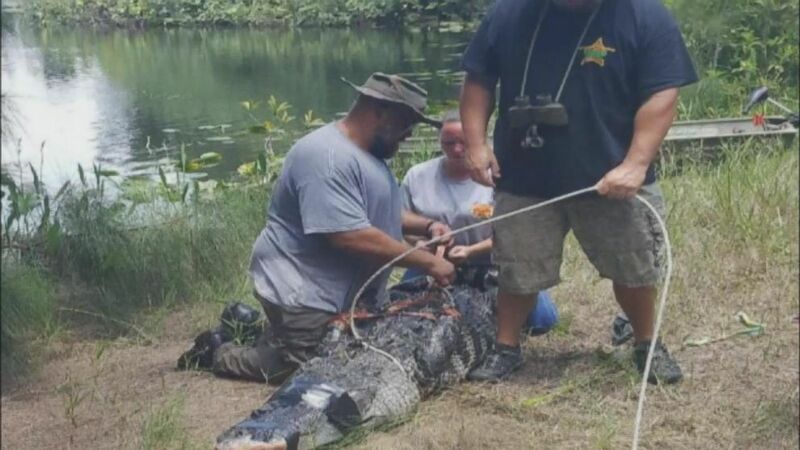 A 12-foot alligator was removed from the lake by a trapper contracted by the FWC. A necropsy on the reptile indicates that it had bitten the woman, officials said. Three people were attacked by animals at Yellowstone National Park in separate incidents over a four-day period, according to the National Park Service. The first incident occurred on Sunday, when a 51-year-old employee at the Mammoth Hot Springs Hotel was attacked by a mother elk protecting her calf, who was about 20 feet away and hidden by cars. The woman was airlifted to a nearby trauma center for be treated for severe injuries. Another woman was attacked at the hotel on Tuesday as she was walking between two cabins. When the 53-year-old Texas woman spotted the mother elk and calf against a wall, she tried to back away, but the elk pursued her and struck her in the head and torso. Calving season is causing elk mothers to act aggressively as they protect their newborns and hide them near buildings or cars, park experts said. It is unknown whether the same elk was involved in both attacks. A herd of bison grazes in the Lamar Valley of Yellowstone National Park, Aug. 3, 2016. On Wednesday, a woman was gored by a bison bull after she and a group of people got within 15 feet of it while walking along a boardwalk. The California woman suffered injuries to her hip after the bison became agitated and charged at the crowd. She was transported to a nearby hospital in good condition. 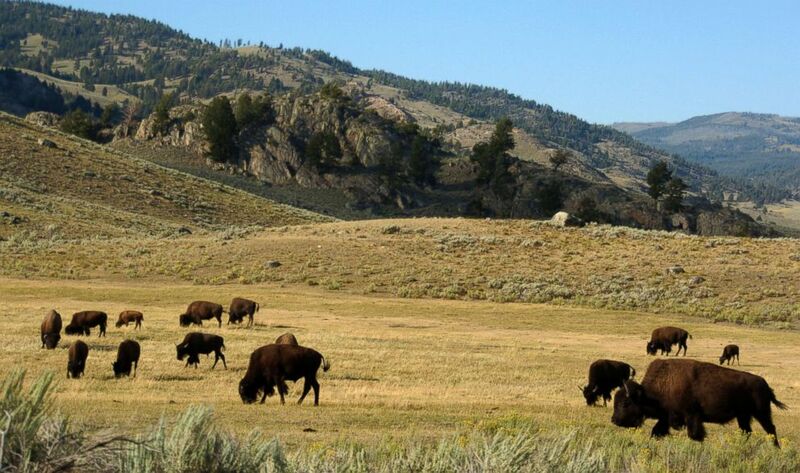 Park officials instructed visitors to give animals space, recommending they stay at least 100 yards away from bears and wolves and at least 25 yards away from all other animals, including bison and elk, officials said. A pet monkey attacked a Home Depot employee in Okeechobee, Florida, after escaping from its owner’s truck. 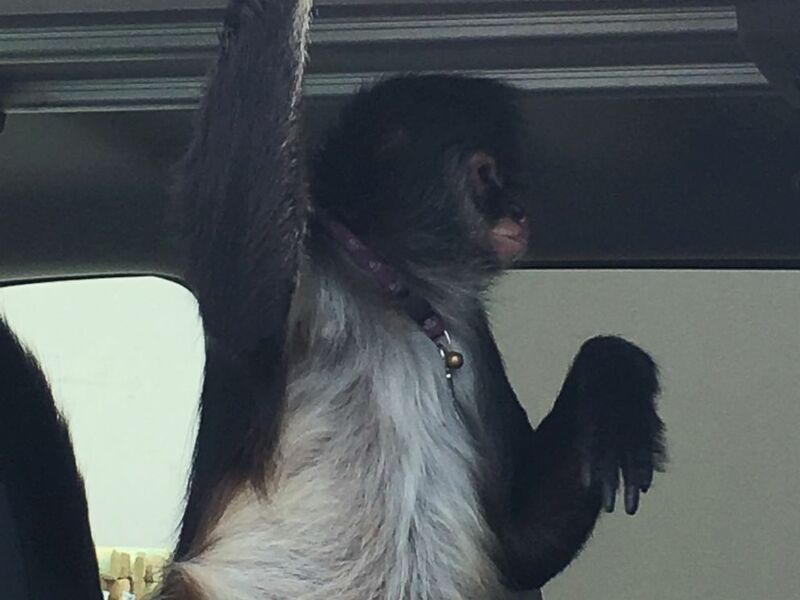 The spider monkey, whose name is Spanky, was on a leash but somehow managed to get out of vehicle, authorities said. The 50-year-old victim was in the break room when she heard her coworkers yelling that there was a monkey on the loose, but she thought it was a joke. A pet monkey that got loose, bit a woman who tried to help reunite it with its owner in Okeechobee, Fla., June 4, 2018. When the woman grabbed onto Spanky’s leash, it climbed her back and bit her twice. She then grabbed its leash again to look for the owner, but when the sliding glass door to the entrance opened, the monkey got scared and bit her arm and hand and then scratched her face. 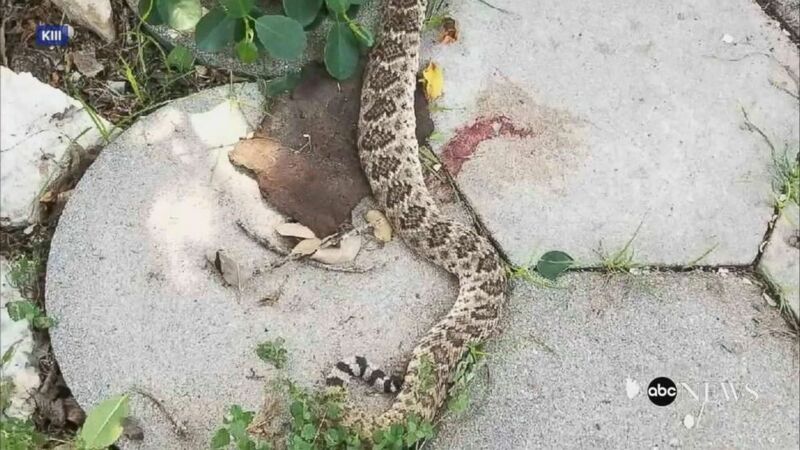 A Texas man nearly died after he was bitten by a rattlesnake he had just killed, ABC Corpus Christi affiliate KIII reported. 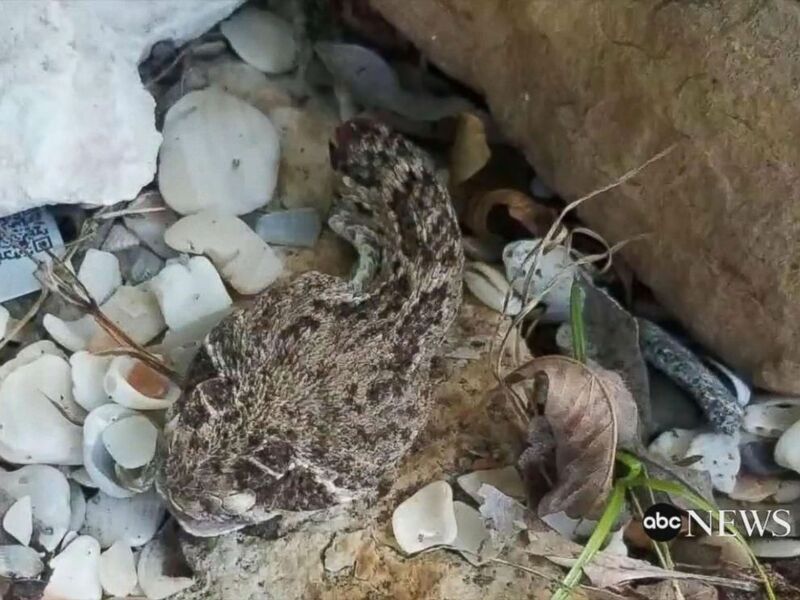 On May 27, man and his wife were doing yard work at their home when they spotted a 4-foot rattlesnake lurking nearby. He then quickly grabbed a shovel and severed the snake’s head. But, when he went to pick it up to dispose of it, the snake’s fangs clamped onto his hand, releasing all of its venom. 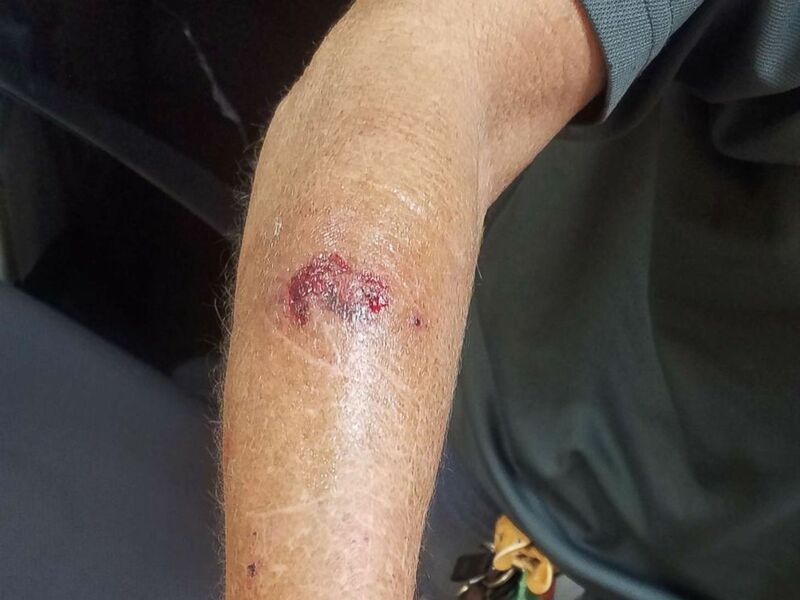 A Texas man is recovering after he was bitten by a rattlesnake that he had just decapitated. The man immediately began experiencing seizures, loss of vision and internal bleeding, and he was airlifted to the hospital after his wife drove him to meet up with the ambulance. A photo from the incident shows that his hand had swelled up considerably and was covered in dark purple bruises. Doctors initially told the man’s wife that he may not make it. He was administered 26 doses of the expensive anti-venom, when a typical snakebite victim only requires two to four doses. The man is in stable condition, but he is still experiencing weak kidney function. Feral peacocks in Canada may have yet to attack any people, but they are lashing out at shiny cars. In one Vancouver neighborhood, the peacocks have been coming across their own reflections on car doors and then using their beaks to attack them, CTV reported. Video posted to Twitter shows a peacock checking out its reflection in the door of a dark-colored Ford Mustang. “With the dark-coloured cars, they can see their reflection fairly clearly, so they mistake that as another peacock and have at it,” Surrey resident Ryan Cragg told CTV Vancouver on Saturday. About 150 peacocks live in the area and have been there for about a decade, CTV reported. A resident used to farm the colorful birds when the neighborhood was developed, and they remained after the farmer moved away. One resident was fined $1,000 last month for illegally moving a peacock nesting tree. He told CTV that at least 40 birds were going up on his roof every night. 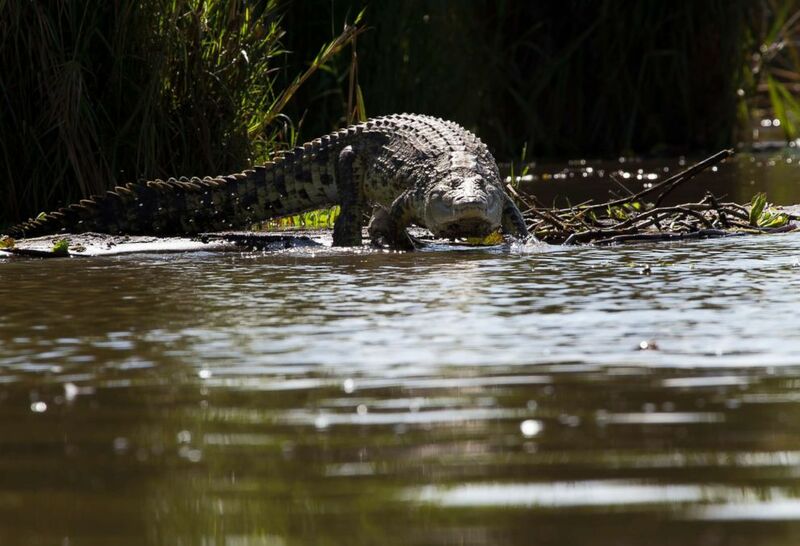 On Sunday, a pastor in Ethiopia was killed by a crocodile while performing a baptism in a lake. 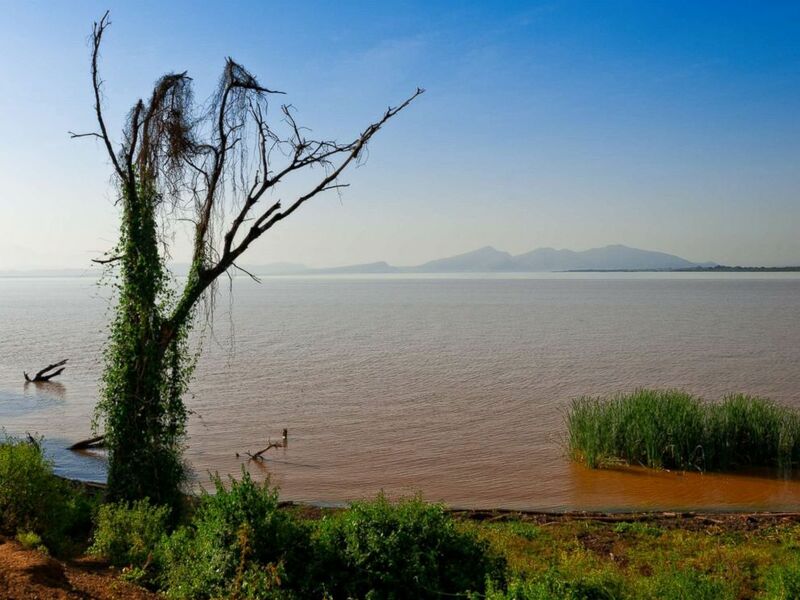 The pastor, Docho Eshete, was conducting the ceremony for about 80 people at Lake Abaya in the city of Arba Minch when the reptile leaped from the water and attacked him, the BBC reported. Lake Abaya, Arba Minch, Ethiopia on Dec. 16, 2017. A crocodile is pictured in this undated stock photo coming into the water from a shore. One witness said Eshete had just baptized the first person and was about to baptize another when the crocodile “jumped out of the lake” and grabbed him. Eshete died from crocodile bites to his legs, back and hands, the BBC reported. Fishermen and other locals used fishing nets to prevent the crocodile from taking his body into the water. ABC News’ Alexandra Faul and Bill Hutchinson contributed to this report.